At age 16, I received my first literary award. At 17, I turned down Harvard to attend the University of Colorado. At 21, I rejected the dullest profession on the planet, actuarial science, for the second-dullest, accounting. At 70 I stood at a podium in the heart and soul of Wall Street and rang the bell that opens the New York Stock Exchange. I earned my nickname, Grizzly, by surviving a marauding bear attack in the backcountry of Yellowstone Park. Now deurbanized and living in Steamboat Springs, I follow less trod paths – writing, cross country skiing, hiking forest trails, and climbing high mountains (Colorado’s 14ers and Scotland’s Munros) with my wife and muse, artist Bonnie McGee. She carries the survival kit. On my saner days I go fly fishing with our golden retriever, Cholla. She carries the net. With my first book I got lucky. A McGraw-Hill editor seeking a fresh voice with a unique and compelling story, found me. 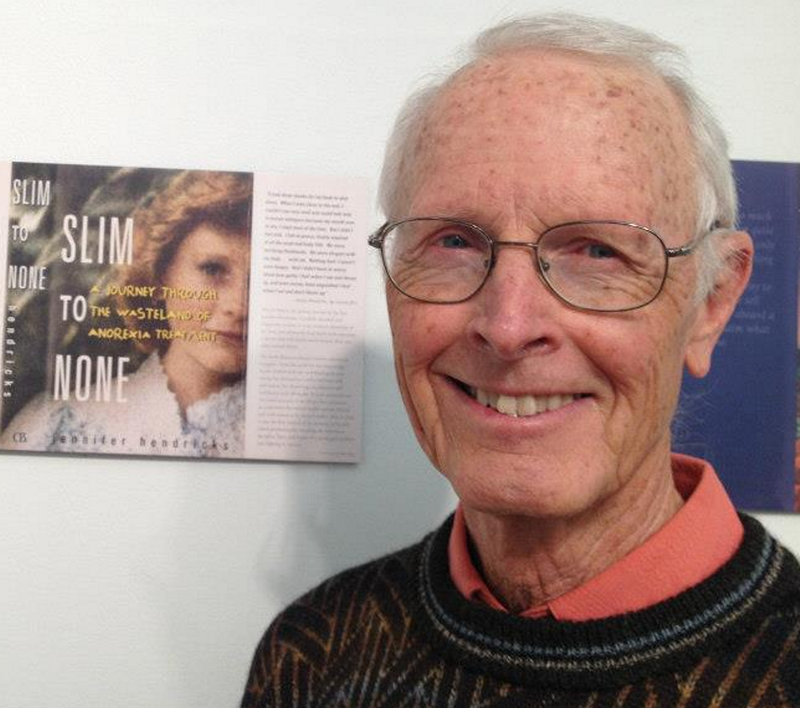 SLIM TO NONE, a Journey through the Wasteland of Anorexia Treatment became a Denver Post best seller and a Colorado Book of the Year nominee. Some of my short fiction has also been published, and my writing has received awards in local, regional, national and international literary competitions. Also a Denver Post best seller, my debut novel CHARLIE’S PRIDE features a modern-day Last Mohican and his unyielding devotion to a river. It received an award in a national novel manuscript competition where the reviewer compared it to Norman Maclean’s classic, A River Runs Through It. Released in April 2018, my new novel, “At the Altars of Money”, stages an intriguing moral dilemma when four principal characters plan a crime of compassion, steal $2.7 billion from wealthy investors, and give it away to worthy causes. They’re guided by a modern-day Robin Hood. Should society judge him (or her) a criminal or a hero? Does it? Edged with satire, the book blends keen minds with romantic hearts and intrepid souls and features many scenes of Colorado’s wildest places as seen from its highest places, the Fourteeners. I should’ve died when I was supposed to, when Dr. Steiner said I would — four months ago after I quit eating. I was in a safe place where I could hear meadowlarks sing after a spring rain, like at home when I was little. I could’ve died peacefully with my family around me. I should’ve. But I didn’t. “Someday, will we learn how to save our wild fish?” The boy asks.